On this date in 1868 as part of the Meiji reforms in Japan, the strict social codes enacted during the Edo period, also called Tokugawa period (1603 to 1868 CE), were officially abolished. The Edo social regulations were intended to promote stability, and for some time they did. But careful examination of the system indicates that it was not quite as rigid as portrayed in media and popular thinking, and it contained the seeds of its own destruction in the face of internal and external pressures. In actuality, shinōkōshō does not accurately describe all of Tokugawa society. Buddhist and Shinto priests, court nobles (kuge), and outcast classes including eta and hinin, were not included in this description of the hierarchy. The eta and hinin were people whose work broke the taboos of Buddhism. Eta were butchers, tanners and undertakers. Hinin served as town guards, street cleaners, and executioners. Other outsiders included beggars, entertainers, and prostitutes. The word eta literally translates to “filthy” and hinin to “non-humans”, a thorough reflection of the attitude held by other classes that the eta and hinin were not even people . Also, shinōkōshō is a highly idealized and generalized description. In some cases, a poor samurai could be little better off than a peasant and the lines between the classes could blur, especially between artisans and merchants in urban areas. Still, the theory provided grounds for restricting privileges and responsibilities to different classes and it gave a sense of order to society. In practice, rigidified social relationships helped create the political stability that defined the Edo period, and was also the cause of its demise. Samurai traditionally functioned as the warrior class in Japan; they constituted about 7–8% of the population. The other classes were prohibited from possessing long swords such as the tachi or katana. Carrying both a long and a short sword became the symbol of the samurai class. During the feudal period, samurai were warriors that fought for a lord in a feudal relationship. The Edo period, however, was largely free from both external threats and internal conflicts. Instead, the samurai maintained their fighting skills more as an art than in order to fight. Samurai were paid a stipend from their lord, and, samurai could not own land, which would have given them income independent from their duty. Samurai generally lived around their daimyō’s castle, creating a thriving town or city environment around the middle of a domain. 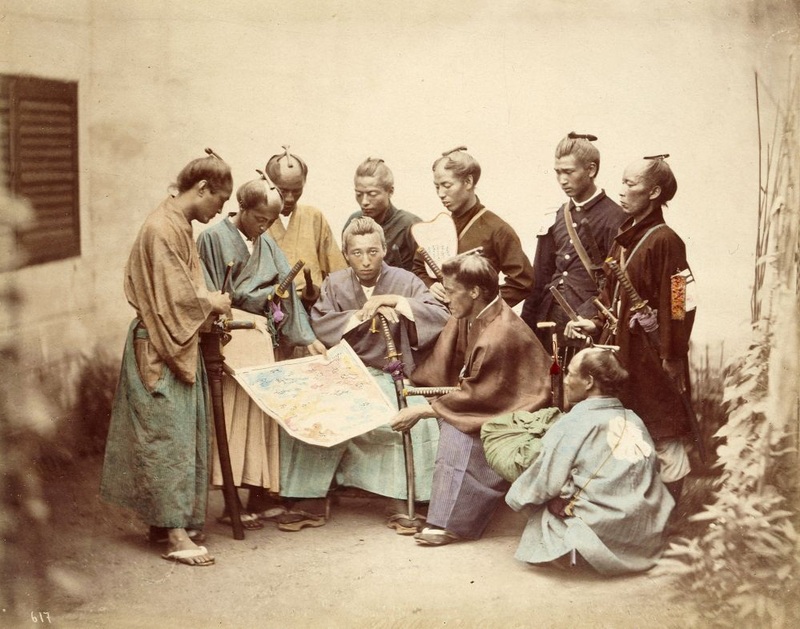 There were social stratifications within the samurai class. Upper-level samurai had direct access to their daimyō and could hold his most trusted positions. Some achieved a level of wealth that allowed them to retain their own samurai vassals. Mid-level samurai held military and bureaucratic positions and had some interactions with their daimyō if needed. Low-level samurai could be paid as little as a subsistence wage and worked as guards, messengers, and clerks. Positions within the class were largely hereditary, and talented samurai could not rise more than a few social steps above their positions at birth. Outside the traditional samurai–lord relationship were the rōnin, or masterless samurai, who were generally accorded very low levels of respect, had no income, and often became gamblers, bandits, or the like. 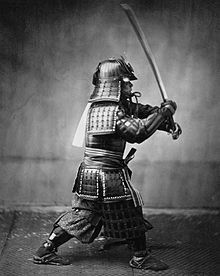 Western perceptions of the samurai class are either anachronistic or misleading. Depictions of the samurai in media, such as The Last Samurai, tend to miss the point. 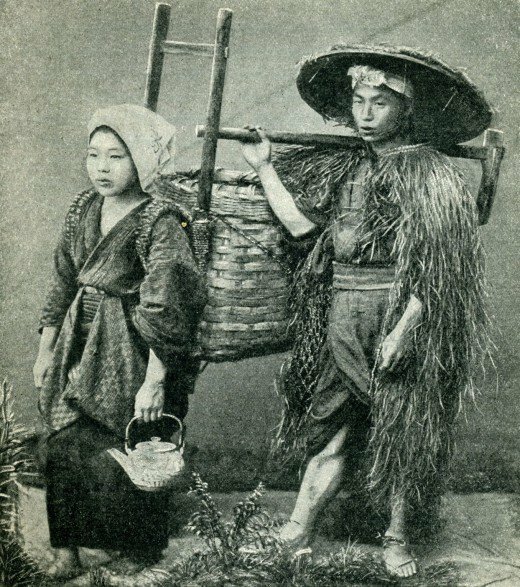 Former samurai who refused to change their ways under the Meiji Restoration were not just attempting to preserve traditional culture; they were also trying to maintain their heredity social status in a changing world – a world based more on meritocracy than on inherited positions. It is also misleading to project the samurai as warriors skilled in traditional Japanese martial arts only. Their traditional martial arts skills were largely ceremonial. When they fought towards the end of the Edo period, they frequently used rifles and other Western weaponry. The peasant class could own land, but the daimyō had rights to tax this land. Peasants worked to produce enough food for themselves and still meet the tax burden. Most farming during this time was centered on families living on their own land, in contrast to the plantation or hacienda model (where peasants did not own the land). Peasants could amass relatively large amounts of wealth but nonetheless remained peasants. Wealthier families and those that held their own land and paid taxes were held in much higher regard and had more political influence in village matters. However, the survival of the village depended on every household cooperating to meet the tax burden and overcome natural disasters such as famines. During the reign of the third Tokugawa shōgun, Iemitsu, farmers were not allowed to eat any of the rice they grew. They had to hand it all over to their daimyo and then wait for him to give some back as charity. By 1800, as much as 10% of the population of Japan may have lived in large towns and cities, one of the highest levels in the world at the time. The daimyōs and their samurai did not produce any goods themselves, but they used the tax surplus from the land to pay for their consumption. Their needs were met by artisans, who moved to be around the castles, and merchants, who traded local and regional goods. Each class in the city was restricted to living in its own quarter. Merchants grew increasingly powerful during this period. Wealthy merchant houses arose to organize distributors and hold legal monopolies. 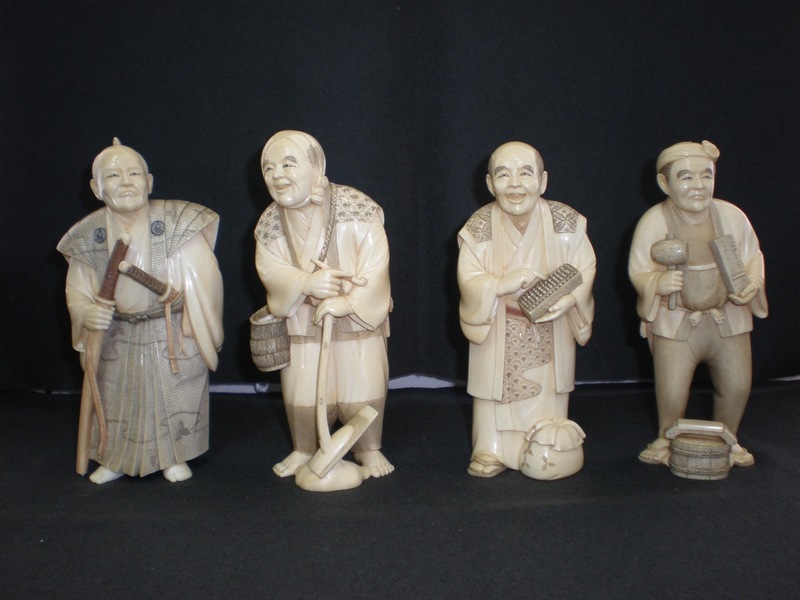 As their wealth grew, merchants wanted to consume and display their wealth in the same manner as the samurai, but laws prevented them from doing so overtly. Still, their consumption combined with that of the samurai served to reinforce the growth of the merchant and artisan classes. The foundation of this period was its stable social order. However, as wealth became increasingly concentrated outside of the samurai class, social conflict grew. 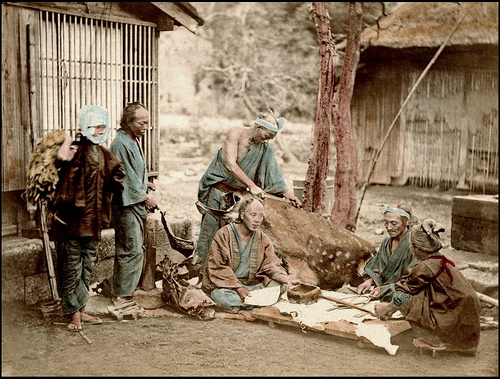 The fixed stipends on which samurai lived did not increase despite the rising cost of commodities and the increasingly burdensome cost of proper social etiquette so many samurai became in debt to wealthy merchant families. The wealthy merchants, in turn, were restricted from showing their wealth for fear of violating the laws that restricted privileges to the samurai class. That created deepening resentment but also increasing interdependence between the two classes. Some scholars began to question the Confucian beliefs that provided the foundation of society. Changes in rural areas were also creating conflict. New technology increased productivity and allowed some families to produce a surplus of food that could be used to support ventures beyond farming. Some peasants also became indebted to their wealthier neighbors, and more families lost ownership of their land. This sparked resentment that sometimes erupted in violence towards landlords and village elite. 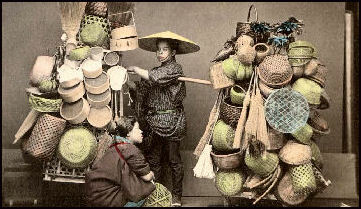 The challenges laid the foundation for the changes that would follow during the Meiji period. I have discussed the cooking of the Edo Period several times before. When foreigners think of “Japanese cuisine” they typically think of Edo Period dishes such as sushi and sashimi. There’s a lot more to Edo Period cooking than sushi and sashimi, and a great deal more to Japanese cooking than Edo Period recipes. But this post focuses on Edo Period culture, so a traditional recipe is in order. Here is a video on how to prepare hiyayakko, a perfect dish for hot summer days, and extremely easy to prepare. 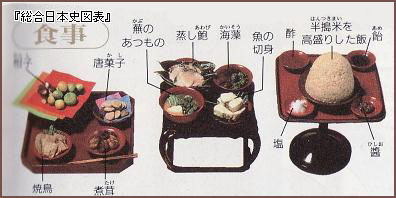 It is perfectly in keeping with dishes served to all classes in the Edo Period. I am giving you a video out of sheer laziness. The dish is simply tofu cubes topped with grated fresh ginger, sliced green onion, and dried bonito flakes with a little soy sauce splashed on.